Wildlife constitutes the primary natural heritage, all around the world. Continuous industrialization and deforestation, has posed a threat of extinction to the wildlife. So, to conserve and preserve the natural heritage of the country wildlife sanctuaries, national park, biosphere reserves, etc. are earmarked. Wildlife sanctuaries refer to an area which provides protection and favourable living conditions to the wild animals. On the other hand, the national park provides protection to the entire set of the ecosystem, i.e. flora, fauna, landscape, etc. of that region. Lastly, biosphere reserves are the protected areas, which tend to conserve the genetic diversity of the plants, animals birds, etc. The article excerpt attempts to clarify the difference between wildlife sanctuary and national park, so take a read. Meaning Wildlife Sanctuary, is a natural habitat, owned by the government or private agency, that safeguards particular species of birds and animals. National park is the protected area, which are established by the government, to conserve wildlife and also develop them. Preserves Animals, birds, insects, reptiles, etc. Flora, fauna, landscape, historic objects, etc. Objective To make sure that viable population of the wildlife and their habitats are maintained. To protect the natural and historic objects and wildlife of an area. Restriction Restrictions are less and it is open to public. Highly restricted, random access to people is not allowed. Human activity Allowed but up to a certain extent. Not allowed at all. Wildlife Sanctuary, as the name suggests, is the place, that is reserved exclusively for the use of wildlife, which includes animals, reptiles, insects, birds etc. Otherwise called as wildlife refuges, it provides habitat, and safe & healthy living conditions to the wild animals especially to the endangered and rare ones so that they can live peacefully for their entire life and maintain their viable population. For proper management of the sanctuary, rangers or guards are appointed to patrol the region. They ensure the safety of animals, from poaching, predating or harassing. International Union of Conservation of Nature, shortly called as IUCN has grouped wildlife sanctuaries in Category IV of protected areas. National Park implies an area that is exclusively designated by the government for the conservation of wildlife and biodiversity due to its natural, cultural and historical significance. It is home to millions of animals, birds, insects, microorganisms, etc. of different genes and species, which provides a healthy and safe environment to them. National Parks, not only conserve wildlife, but it also provides an amusement of the environmental and scenic heritage, in a way and by those means that does not cause harm to it, so as to provide enjoyment to the future generations. The plantation, cultivation, grazing, hunting and predating of animals, destruction of flowers are highly prohibited. International Union of Conservation of Nature (IUCN) has declared National Parks in Category II of the protected areas. To visit National Parks, official permission from the relevant authorities is required. 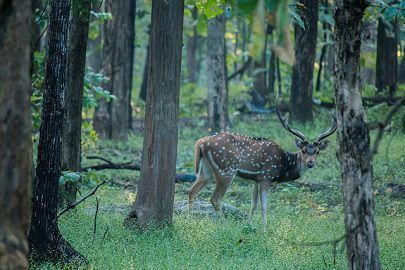 Wildlife sanctuary can be understood as the regions where wildlife and their habitat is protected from any disturbance. Conversely, a National park is the area of countryside, which is specifically designated for wildlife, where they can live freely and use the natural resources. Wildlife Sanctuaries are famous for the conservation of wildlife, which includes animals, insects, microorganisms, birds, etc. of different genes and species. On the other hand, National Parks are highly known preserving the flora, fauna, landscape and historical objects. Wildlife Sanctuaries aims at ensuring that a substantial population of the wildlife and their habitats are maintained. As against, National Parks safeguards the environmental, scenic and cultural heritage of the region. When it comes to restrictions, national parks are highly restricted areas, which are not open to all the people, whereas wildlife sanctuaries have lesser restrictions than national parks. To visit national parks, official permission is to be taken from the requisite authorities. In contrast, no official permission is to be taken to visit a wildlife sanctuary. Boundaries of wildlife sanctuaries are not sacrosanct. However, the national parks have clearly marked boundaries. Human activities are allowed to a limited extent in the wildlife sanctuaries, but in case of national parks, they are strictly prohibited by the authorities. Wildlife sanctuaries and National Parks are the favourite tourist spot for the nature lovers. Most of the national parks were initially wildlife sanctuaries, which are then upgraded to national parks. In India, Wildlife Protection Act, 1972 has been enacted, with the aim of providing protection to the species that are facing the threat of getting extinct and also to propagate conservation area of the nation, i.e. national parks. Thanks for doing so much research and providing this information with us. Its been india where we find varities of nature.